La Soupe is a Cincinnati-based startup that rescues otherwise wasted fresh produce to create nutrient-dense soup, and uses it to battle hunger. 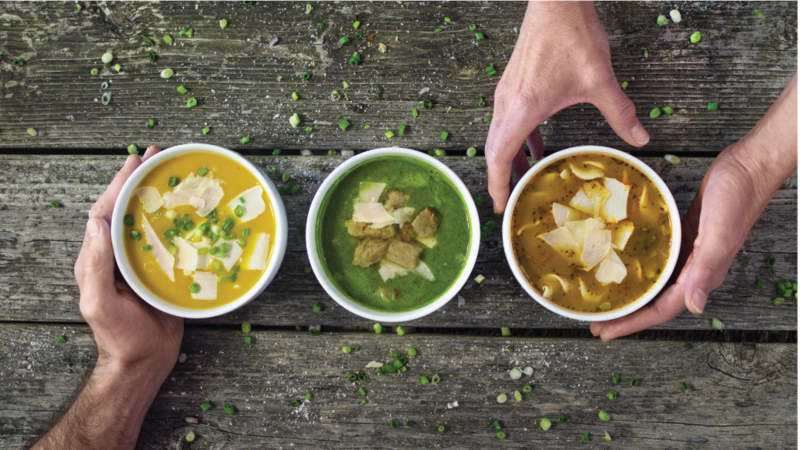 For every order the French soup restaurant sells, it donates a portion to local homeless shelters and food pantries. 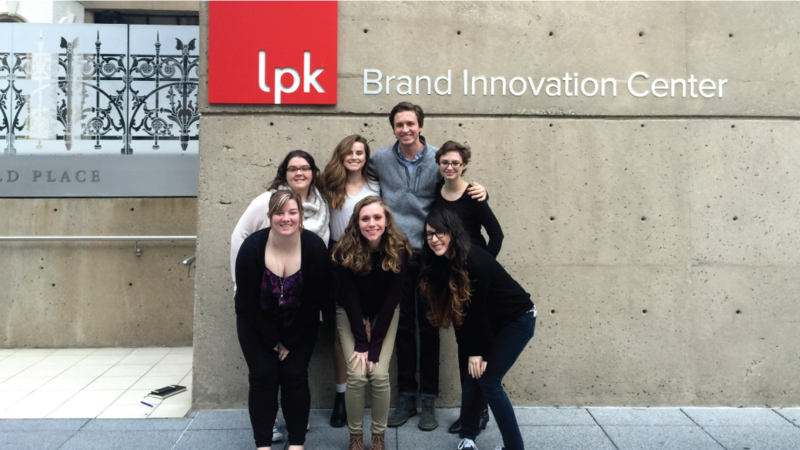 This past semester, LPK’s interns had the opportunity to work with the business/nonprofit hybrid from the ground up, crafting a brand strategy and creative execution that would position La Soupe for growth. The partnership began in fall 2015 with a client immersion session to understand the brand and the organization’s mission. The intern team then explored a number of unique visual and verbal directions to stage La Soupe as a catalyst for positive change in the community. They ultimately converged on one concept that captured the heart and soul of the brand. With a clearly defined visual and verbal foundation, the team was able to craft multiple deliverables for the client, including fliers, donor packets, website updates and more. The end product? A full-scale brand strategy and expression that clearly communicates both La Soupe’s culinary appeal and social impact. 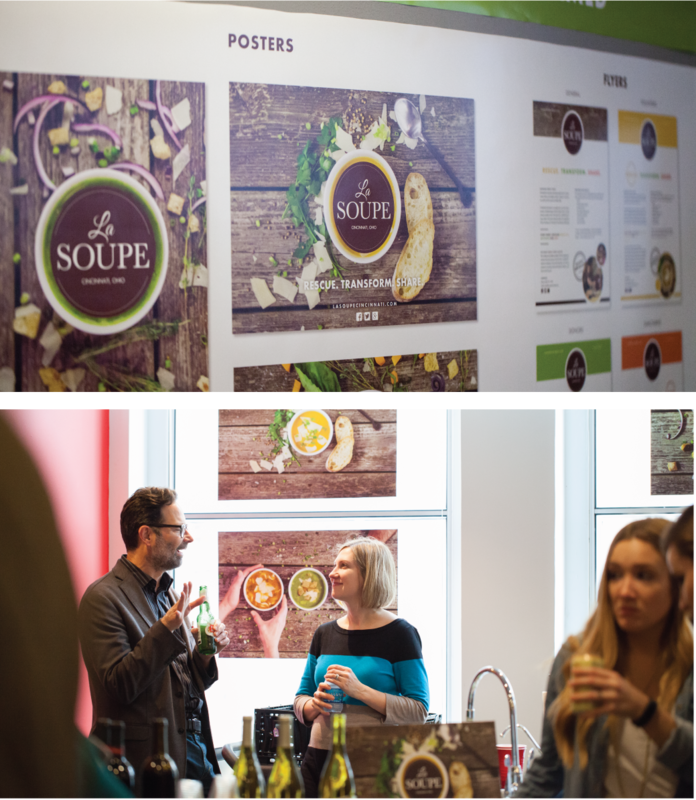 To celebrate their success and showcase the work, the team held a gallery reveal party for LPK’s Cincinnati office, complete with soup from La Soupe. Follow La Soupe on Facebook and sign up for their newsletter to see their new brand identity rollout. Verbal Intern Lexi Ball contributed to this post.